With all the political shenanigans, I thought I’d wander down to Westminster to take a look at the media circus and see what was going on. All the news groups have mini studios set up and lots of politicians, ex-politicians and other commenters were coming and going. I was busy just taking in the atmosphere and grabbing the odd photo. 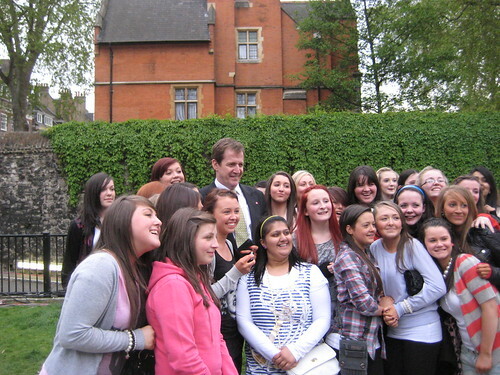 Loving this one of Alastair Campbell who got grabbed by a bunch of Glaswegian schoolgirls for a photo op. 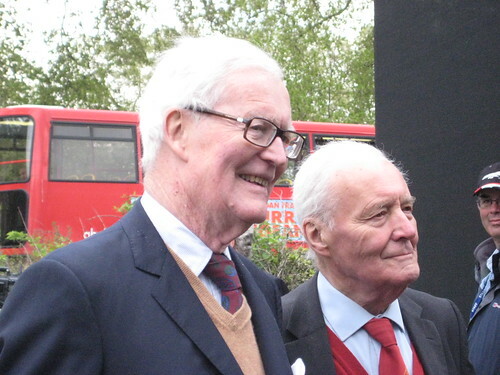 Then two old political adversaries, Tony Benn and Douglas Hurd, called in to do a round of interviews. I didn’t think either Benn or Hurd were still alive. I knew they were around; they were being pushed from station to station, which were all built on these scaffolding rigs in the open. Everyone was freezing!